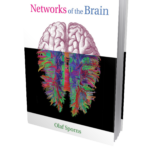 Networks of the Brain - Jon Lieff, M.D. This book is an extremely detailed look at the function of the brain networks and how this monumental complexity might be understood. Olaf Sporns emphasizes how the brain can be viewed from multiple scales, and that all of these levels are important. The brain has local complexity in regions and then long-range connections with other levels of complexity. He discusses the need for both order and disorder, and for segmentation and integration. He considers whether the mind emerges from the complexity of the networks. His most recent research, since this book, has shown that while there are both complex local networks and complex long-range networks, many of the centers actually do both, which further confuses the quest for an understanding of the unity of experience.